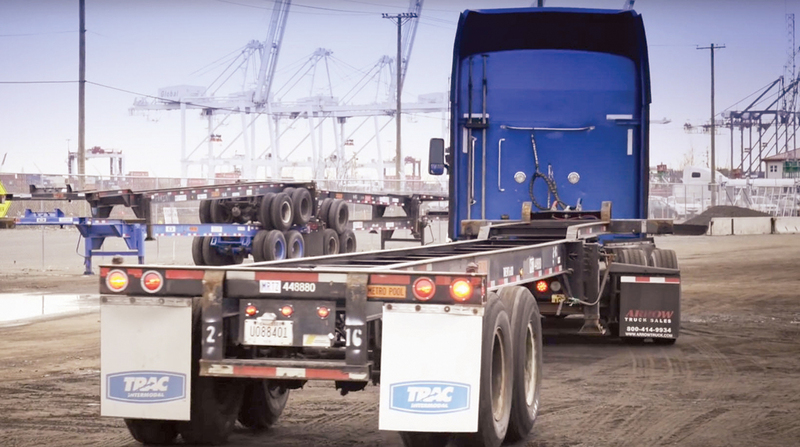 Facing a chassis shortage for trucks, the port authorities have entered an agreement for a Southern States chassis pool. In the past, ocean carriers provided chassis for their cargo. “Now all ocean carriers are divested and sold their chassis to private chassis companies,” Griff Lynch said. Private companies, known as intermodal equipment providers (IEPs), however, aren’t keeping up with port demand, Lynch said. “The companies say there is no return (on their investment),” Lynch said. The southern region — from basically Wilmington, N.C., to Savannah, Jacksonville, Fla., and Atlanta and Huntsville, Ala. — currently has about 53,000 chassis. Lynch said that number is about 7,000 chassis short. “We need 60,000 to 65,000,” Lynch said. Lynch said the pool agreement has been submitted to the Federal Maritime Commission for comment. Lynch said another goal will be to upgrade the chassis fleet for safety and handling, including better tires. “Exports are heavier than imports,” Lynch added. The port authorities will work with an IEP, the North American Chassis Pool Cooperative, which will operate the pool. “We (GPA) will be on the board,” Lynch said. Lynch said Aug. 1 is the earliest they will know if there are issues with the agreement.